We are very excited to share with our members that in keeping up with technological advancements, we will be fully digital for the upcoming Eduweek. The conference program, speaker evaluation forms, exhibitor and sponsorship list and contacts will be accessible from your preferred smartphone, be it an iPhone or Android device. This is but one step EAPA-SA is taking in being environmentally friendly. Time is running out for joining us when celebrating 20 years of making a difference in the EAP fraternity. At least 6 international speakers have been lined up to share their experience and best practices on various EAP related topics. During the pre-conference training and plenary sessions, members will be able to delve in more detail into the Afrocentric Parading, and be presented with solutions to our uniquely African EAP challenges. The History book, aptly titled Creating Legacy in EAP Business – the South African Approach to employee assistance, which records the achievements and growth of EAP in South Africa and other African countries will be officially launched to the members on the opening day of the Eduweek. Make sure you get your copy, as these will be for sale at the EAPA-SA exhibition stand. EAPA-SA continues to engage with SAQA and is currently preparing to submit our portfolio of evidence by the end of the year of the implementation of RPL in the Association. Two RPL advisors have been trained from each chapter and are responsible for sensitizing members on what RPL is all about as well giving RPL candidates the necessary support and guidance for RPL assessment. Should you be interested in undergoing RPL, kindly contact the EAPA-SA office. An upcoming program in line with our SAQA mandate is to look at decolonization. More details on how decolonisation impact EAPA-SA will be shared at a later stage. In an effort to grow the EAP fraternity, chapters have been tasked to grow membership by at least 12 members per annum, whist maintaining current numbers. Mpumalanga is planning to launch by 30 August and is currently in the process of building relations with the provincial offices, such as the Director general and Office of the Premier. If you interested in becoming art of the Mpumalanga chapter, contact our office and we will put you in touch with the interim committee. 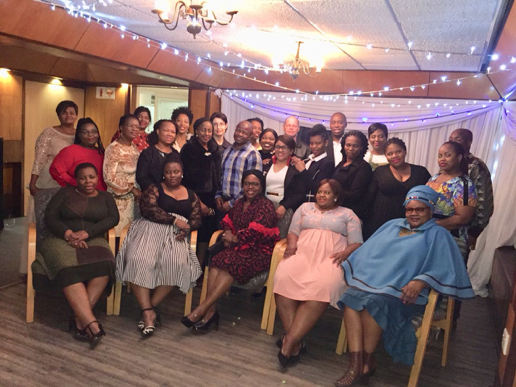 Ikhala has recently hosted a very successful seminar and Gala dinner and have identified a need to address spiritual wellness and employee wellness from an African perspective. These will be actioned during upcoming chapter events. 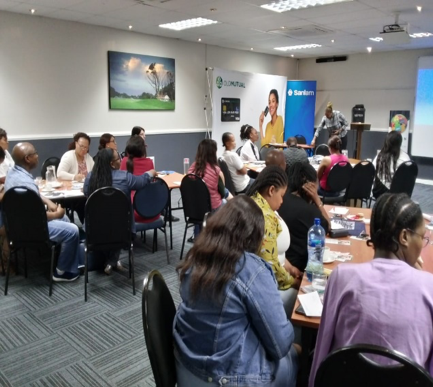 The mentorship programme continues to be a success, where new practitioners in the field are given guidance and support by the older members in the EAP field. The chapter is also placing special focus on recruiting student members from the local universities., so as to give them the necessary tools for world of work. Jacaranda is still struggling to revive the chapter and is currently operating with 3 interim committee members. Members in Pretoria are encouraged to make themselves available to serve in the committee, in order to restore the chapter to is former glory. The next Jacaranda Chapter meeting is scheduled for 22 August. Nelson Mandela Bay is planning a workshop for Friday 31 August, with presentations on RPL and designations, which will be spearheaded by the President Elect, If you are a passionate EAP Practitioners/Professional please contact the Thiloshni so we can put you in touch with the task teamworking on revitalizing the functioning of the chapter. With the assistance of our event management partner, Enov8, a three-year agreement has been signed with Sun International, which will guarantee the Association preferential rates, resulting in a very minimal increases in the annual fees members have to pay to attend Eduweek. The 2019 Eduweek will be hosted at the Wild Coast Sun in KZN, followed by Sun City in the Northwest in 2020. With Chapters in 9 provinces, we try to rotate the Eduweek to all the regions, our members are active in. We recently met with our auditors who were very pleased with the management of the finances of the Association – the Audited Finances statements will be made available to members during the course of the month. We are also very excited to share that the Association is finally ready to make the huge investment of purchasing our own offices, where we can also offer EAP specific training for member development in future. A very big thank you to all members who have assisted us in determining which is the most suitable period for any board member to hold office. The people have spoken, as a result, Governance is hard at work, updating the Bylaws, to reflect these and other changes, which will be communicated at the upcoming AGM. Theresa Vika, joined EAPA SA on 1 August 2017, coming from a back ground of contact centers and customer service. She is originally from the windy city of Port Elizabeth and have been in Gauteng since 2004. She studied BCom at the then University of Port Elizabeth, which is now known as the Nelson Mandela Metropolitan University with majors in Business Economics and Economics. Her fist exposure to the world of work, was in the insurance industry, after which she moved to the Telecommunications space and ultimately motor manufacturing. She has been in the Customer Service field for over 15 years, with more than 10 years spent in managing contact centres. An individua with a great passion for Customer Service, believing that it is critical that as a business, we at all times deliver on the promises made to our customers. In order to achieve in business, one needs to maintain a healthy workforce, as a happy workforce is the driving force behind happy customers, supported by the relevant resources. She believes in being firm, yet fair. Joining EAPA-SA, the largest, oldest and most respected professional association for persons in the employee assistance program field, is coming full circle as her motto in life is to leave those she interacts with in a better position than they were before. She recently completed the Introduction to EAP Course through the University of Pretoria, passing with flying colors. She says – “I pride myself in being a fast learner, as well as a quality and goal-driven individual. I take great pride in always ensuring that my team and I always provide our customers with exceptional service whilst ensuring that optimal profitability levels are achieved and maintained. I am a people’s person who effortlessly and effectively interacts with individuals from a diverse background due to my excellent communication skills. With my passion for service, I believe that through EAPA, employee wellness will be elevated to the pivotal position it deserves in the workplace. I love traveling and spending time in the outdoors, with a special interest in mountain hiking”.